Grove City is a premier central Ohio community in southwestern Franklin County. As a suburb of Ohio’s capital city of Columbus, residents and businesses enjoy an exceptional quality of life; all the conveniences of metropolitan living coupled with the comforts of a unique, small-town feel. Grove City is a self-made community created from humble pioneer origins. The first thoroughbred racetrack in Ohio opened at Beulah Park in 1923 after Colonel Westwater sold the property to the Capital City Racing Association. The track’s convenient location to Columbus via the interurban electric line insured its popularity. 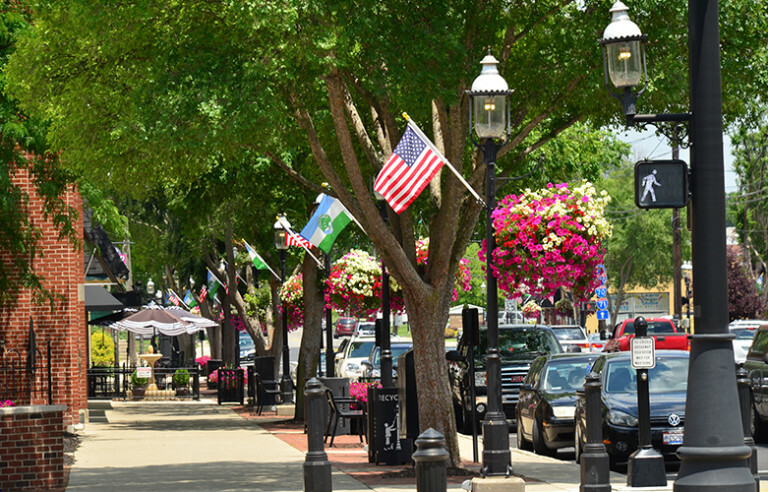 Grove City is home to more than 1,450 businesses and offers 18 parks on more than 560 acres. Grove City is accessible by US 62, I-71, I-270 & SR-665, and is less than a 10-minute drive to downtown Columbus. The City of Grove City hosts a variety of events throughout the year. Grove City offers one of central Ohio’s most impressive Independence Day celebrations, with fireworks, lots of family fun and live entertainment. The annual Arts in the Alley festival celebrating fine arts and music is held in the Grove City Town Center the third weekend in September. During the holiday season, residents enjoy the Mistletoe Market and Grove City Christmas Celebration which includes pictures with Santa, live music performances, shopping, a Secret Santa shop, ice sculpting, an animated window display, parade, and tree lighting.